Carpets are an essential attribute of any apartment. They can be used to soften the interior and make it more cozy. Unfortunately, carpets tend to get dirty. Even regular vacuuming and cleaning agents can preserve the former beauty. So, wishing to raise the pile of the carpet will have to conduct a "General" cleaning. There are several ways to bring the carpet up. Start with the traditional methods. If you started cleaning carpet in the winter, take it outside and carefully emboss the back with a special stick. After that, clean it snow, for example, dense clumps. If your carpet is not heavily soiled, sprinkle it with fine salt. You lift the pile, giving it a Shine and get rid of dust. Upon completion of the procedure just dip the broom in the soapy water and sweep up the salt from the carpet. If small particles still remained on the surface, remove them with a carpet beater. 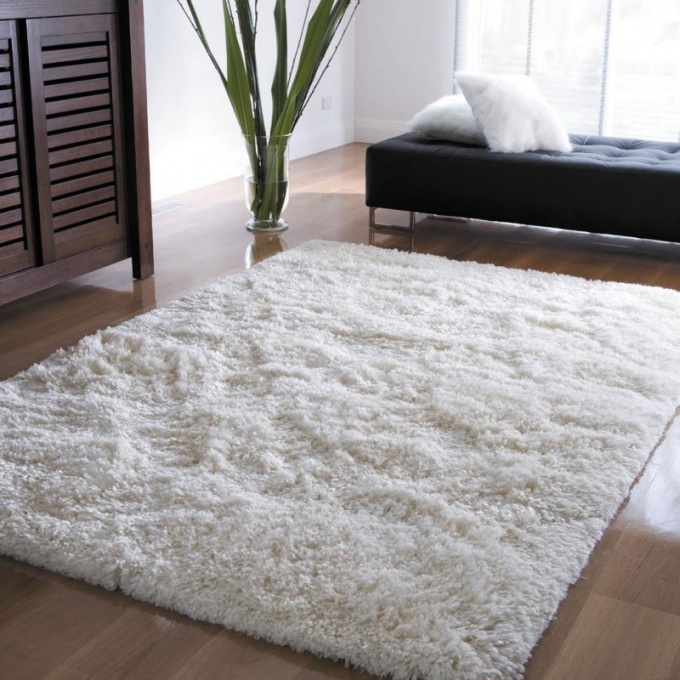 A great way to clean the carpet and lift the pile will be the use of wheat bran or sawdust. In the latter case, sift them and soak in soapy water, in which pre-pour a little gasoline. Now go on to carpet cleaning. Emboss it first, carefully, then moisten with the vinegar solution (in a bucket of water you just need 2 tablespoons), and in the end wipe sawdust. Bran "cook" a bit differently. In particular, take 5 liters of water, one kilogram of bran and mix. After you strained the liquid, soak it to the carpet and wipe with a dry cloth. The owners of carpet with a short NAP may also slightly raise it. To do this, take a small piece of stale bread and spread it on the carpet. In conclusion, sweep up crumbs with a broom or sponge. Quite often on the carpet are formed samini of the pile. To get rid of them, hold the carpet over the steam in problem areas, and then carefully emboss it from the back. This will raise the NAP. To give the carpet its original look, iron the treated areas with iron. Do it on weight. If you wish, you can add a little cloth, fading of the carpet. To do this, with the help of woolen yarn and make loops on its front side, and then cut the ring with scissors and trim. As you can see, the return of the carpet a beautiful appearance easy. The main thing – hard work.